This drill allows the skater to get in some good edge work with puck control practice resulting in a shot. 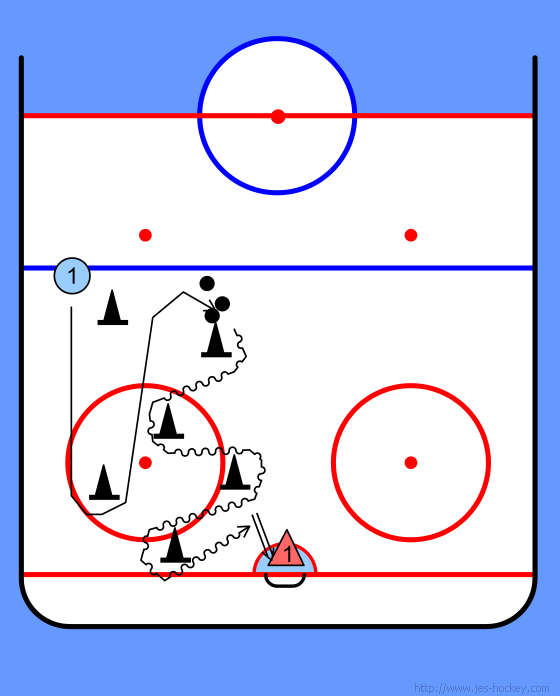 The player starts on the blue line, skating straight ahead at full speed circle the cone with a left turn. After the first turn skate to cone #3 where the pucks are located, pick up one puck weave through the cones and take a shot. When this is done skate back to cone #3 and pick up a second puck and repeat this process until all the pucks have been shot. This is a good drill to time.